I’m trying a new type of post today. I’ve done People I Met posts (obviously) and some Places I Went posts, and today I’m going to start a series called Books I Read. I’ll be writing about books I bought, books I’m starting, and my thoughts after I have read them. I grew up loving reading and I’m constantly trying to make more space for it in my life, so I think this will be a good way to make me read more – especially if other people get involved! I have added the Goodreads widget on the right side so you can see what I am currently reading. When I finish a book, I will publish a post on my review of it. Typically I am reading 2-3 books at once. Right now, for example, I am listening to New York: The Novel as my slower, travel/ work read on Audible, while I am about to restart To Kill a Mockingbird again as my quick, bedtime read. I’m always looking for new things to read (fantasy, fiction, historical fiction, and non-fiction are all great) so please leave me your suggestions in the comments below! Harper Lee is such an iconic author even though she only published one book until now! Harper Lee’s second (secret) novel has just been released and it is a sequel to her acclaimed novel, To Kill a Mockingbird. The new novel, Go Set a Watchman, centers on a 26-year-old Scout and an aging Atticus. I originally read To Kill a Mockingbird in middle school or high school and I remember instantly thinking of it as one of the best books I had ever read. The story made you think, the characters were likable, and the prose was extremely well-written. Harper Lee holds a special place for me because she has the same birthday as my grandfather (April 28, 1926) who is also an author and the first storyteller in my life. It has been a long time since I read TKAM, though, and although I want to dive into Go Set a Watchman, I have decided to quickly reread the original book first. Wow! An absolutely amazing post! I haven’t gotten the chance to read To Kill a Mockingbird yet but I’m sure I will in the future! My blog is centered around books and writing but I mainly do Young Adult books. This posh has definitely made me want to read the first and soon to be released second book of Harper Lee. Thanks! I’ll definitely check out your blog for writing tips and book suggestions! No problem! I hope my blog helps you out and entertains you as well. I just finished “Station Eleven” by Elaine St. John Mandel, if you’ve not read it, add it to your list. It is amazing and it stays with you after you’re done reading. We seem to like similar genres so maybe you’ll like that title too. Very nicely written post. Hello! Thanks so much for your comment 🙂 Yes! I’ll be glad to have a reading buddy for these novels. TKAM is absolutely beautifully written. I will definitely add Station Eleven to my list! I hadn’t heard of it before but I just read the description on Amazon and it sounds like a really interesting take on the post-apocalypse genre that’s become so popular in the last few years. To Kill A Mockinbird is perhaps my favorite book. I will definitely read Watchman! Awesome! More reading buddies 🙂 excited to see what you think of it! 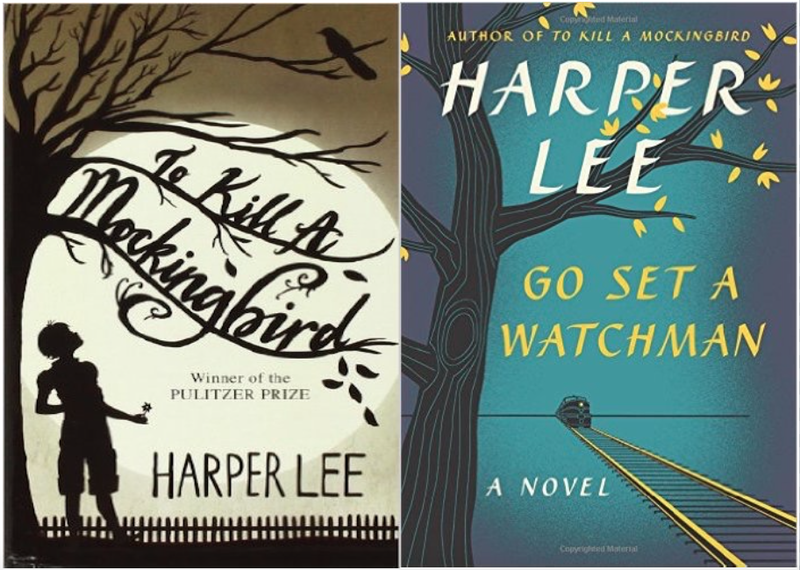 Ohhh… I think I need to introduce two blogs 🙂 : Life of Skip meeet Impromptu Promptlings; https://promptlings.wordpress.com/2015/07/14/whats-on-your-shelves/ You are both Harper Lee fans who write beautifully. You’re right. There’s so much controversy surrounding the release of Go Set a Watchiman. In the article I read about it, it mentioned that Lee actually wrote and submitted this book prior to writing and releasing TKAM. GSAW was rejected. That being the case, it might be why she didn’t want it published. Now she has no say in the matter. I am very suspicious of the secrecy that surrounds her. They are not even letting her see the friend that has been by her side for years. I don’t like the way it sounds. And I read yesterday there was a third book they had found — don’t know about what — that they are planning to release. Could she communicate, Ms. Lee would likely be fit to be tied. Many of the people who got to read the galley proof of this new book didn’t like it because it ends up making Atticus seems like a racist. I think before I buy it I will read other reviews. It feels kind of like having older relatives. Sometimes you just want to remember them the way they were… Know what I mean? So glad you stopped by my blog! I do know what you mean about the old relatives! I think I’m probably going to approach GSAW like it’s fanfiction and if I like it I’ll decide its canon, haha. I had read a while back that Lee didn’t like all the fame that came after TKAM and that’s why she never wanted to publish another novel. She’s certainly getting a lot of publicity again now, but we can’t be sure how aware she is of it. I wish we could hear directly from her somehow! I read her 50th anniversary interview. I think that’s why I’m so puzzled about the tone of Atticus in this book. Lee said she only had one thing to say and she said it in TKAM. She didn’t need to write another book. I wondered at the time if writing two previous books was just part of her journey to GET TO TKAM. People change as they write. They discover new inside territory. And the time she was writing was rife with change. Oh wow I’ll definitely have to go and watch that interview. That’s very true that people change as they write and with time. Characters often change too, I think, as you write them, which is probably what happened with Atticus in Lee’s mind. Such a cool coincident about your Grandpa’s birthday! I too plan to read the sequel. I know right?! And one of my cousins happens to be a lawyer so I think she especially enjoys that coincidence 🙂 Our little book club is growing! Yay! Love your book club idea! I’m sure I’m going to get some inspiration from this! !